“An evocative portrait of Yezierska's struggle to transform her experiences as a poor, immigrant Jewish woman into timeless literature that still moves us deeply today. Highly recommended for high school and college students alike." Suzanne Wasserman (1957- 2017) was a historian and award-winning filmmaker. She had a Ph.D. in American History from New York University. She was the Director of the Gotham Center for New York City History at the City University of New York, Graduate Center. Wasserman lectured and wrote about New York City history, especially the history of the Lower East Side. She published widely on topics such as the Great Depression, Jewish nostalgia, housing, restaurant culture, tourism, pushcart peddling, silent films, 19th century saloons and 21st century street fairs. 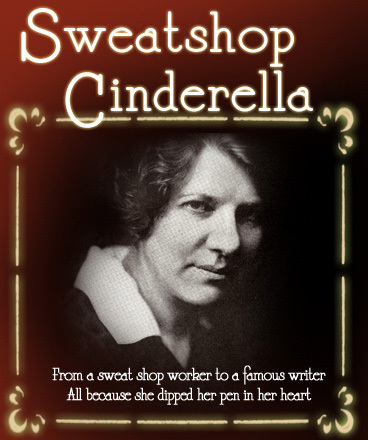 She was an historical consultant on Ron Howard’s, Cinderella Man. She is the co-author of Life on the Lower East Side, 1937-1950: Photographs by Rebecca Lepkoff (Princeton Architectural Press, 2006) which is in its third printing.